As the world of modern technology continues to evolve, the growth in outdoor-related apps has been nothing short of amazing. In all honesty I have resisted much of this new wave of ‘bells and whistles’ technology. Preferring to rely on my trusty map and compass, I’ve found little practical need for any additional features. To me, most of them resembled gimmicks that I’d get bored of using in a very short space of time. 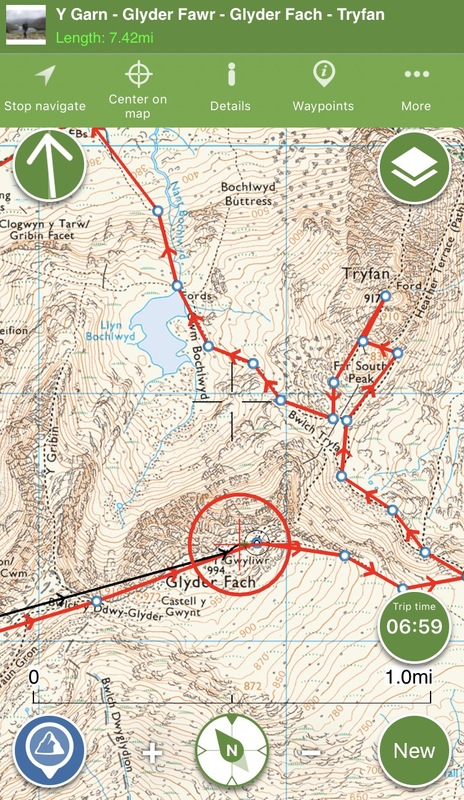 That is until I spent a bit of time getting to grips with the ViewRanger app. 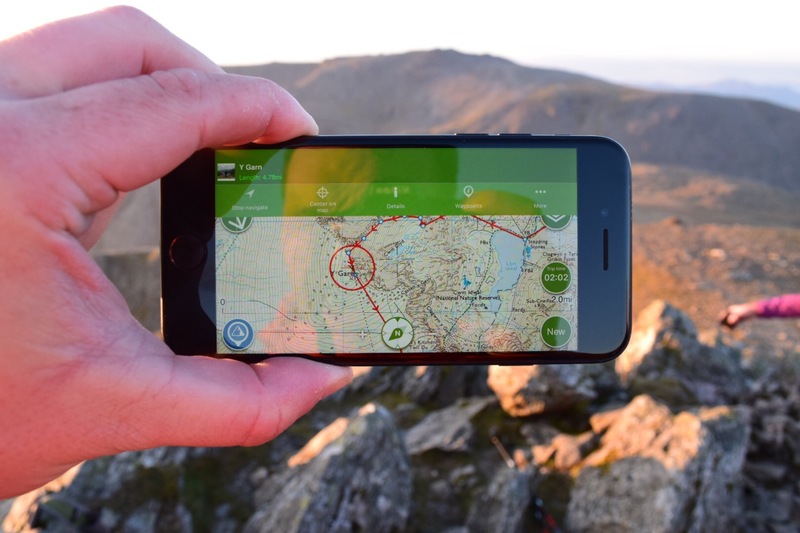 The free ViewRanger app already comes stacked with free global maps. Based on OpenStreetMap, this allows you to gain a basic overview of areas, including contour lines. It also has information on cycle ways and cycle paths and, for the winter adventurers among you, there are details of pistes and lifts in established ski resorts. Finally, satellite imagery is used to provide picture-perfect visualisations of areas to further support your outdoor explorations. A good touch, certainly as part of a free service, is that the majority of these can be saved and used offline. Consequently, a ski trip to the French alps, where you want something in addition to your paper piste map, needn’t cost you your mobile data or your bank balance! Whether I’m taking on an extended lowland walk, or tackling a mountainous hike and scramble, I’m never without my trusty OS Explorer map. The detail is second to none for outdoor pursuits and adventures so why rely on anything else? In addition to the free mapping service, ViewRanger also sells premium maps for 24 countries. These are simply downloaded onto your chosen device and stored for as long as you want them. For me, this is brilliant. My paper copy is now ably assisted by my digital OS Explorer map. Obviously, for safety reasons, you need to ensure that a phone with full battery charge is carried with you at all times but, if you have access to another device, you won’t look back, trust me! The first thing that I really like about the ViewRanger app is the route planning tool. Not only can I plan a route, zooming in until my heart’s content on various features or choices; I can even add photos and audio files to mark important waypoints. Once you’ve finalised your route and saved it, important factors such as topographical profile, total ascent and descent, and distance covered become available. 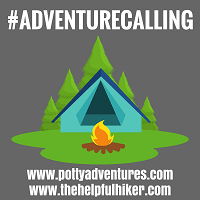 Information such as this is vital to planning a safe and enjoyable adventure. Anything that makes planning easier is a welcome addition in my eyes. Moreover, I can publish these routes for others to use. ViewRanger thus becomes a great online outdoor community. Consequently, as well as sharing my routes, I can also save routes created by other people. 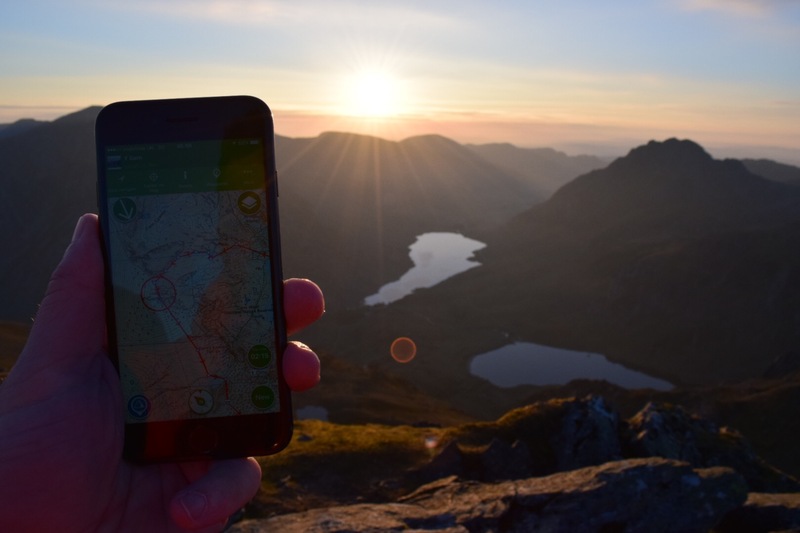 Simply by searching a specific region or area on my premium OS map, I’ll have immediate access to all of the publicly available routes planned by my fellow hikers and outdoor enthusiasts. This is a great way of getting some real localised knowledge from people who travel these routes regularly. It opens your mind to new sections, particularly lesser known/ travelled ones. Once you’re out on the trail the navigation system is really simple to use. The GPS signal will accurately locate your current position in relation to your planned route, while navigation alerts can be set up in case you’re worried about veering too far off track. These can even be added mid route. So, if fog descends on your trail, you have a backup should your usually trusty navigation skills let you down. Another cool feature is the ability to track and record your walks. By selecting this feature the ViewRanger app will record your total distance, time, altitude and speed. That way, if you decide to take a detour, you’ll still be able to accurately chart your stats. As such, there’s no excuse for not going to check out those cool features you’ve spotted from afar. Last, but certainly not least, is Skyline. Skyline is the ViewRanger apps augmented reality. If you haven’t seen it before, it’s super cool! 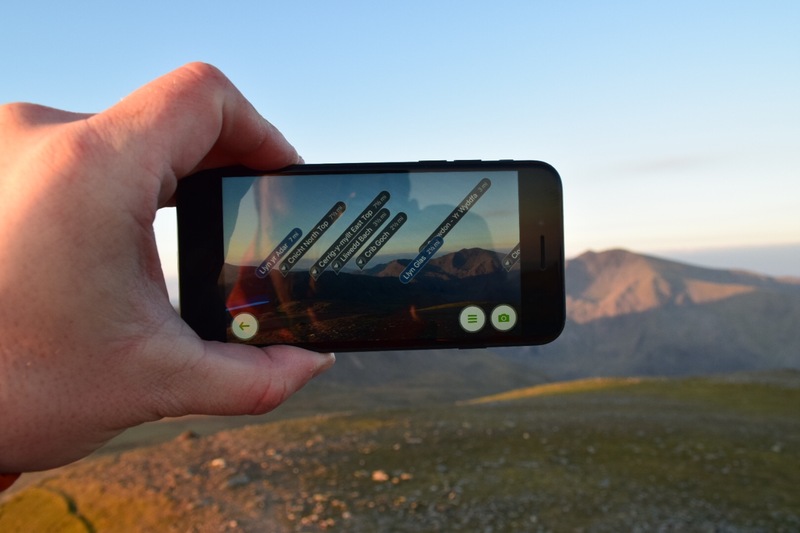 Skyline overlays waypoints and navigation arrows on the real landscape using your phone/tablet camera. Once you activate it, it’ll identify peaks, lakes and other important features up to 20 miles away. It’s a great tool for double checking your exact location and direction of travel. It really is a cool and clever bit of technology. Overall, I’ve been mega impressed with the ViewRanger app. All too often apps are gimmicky and offer style over substance. This one offers oodles of both. 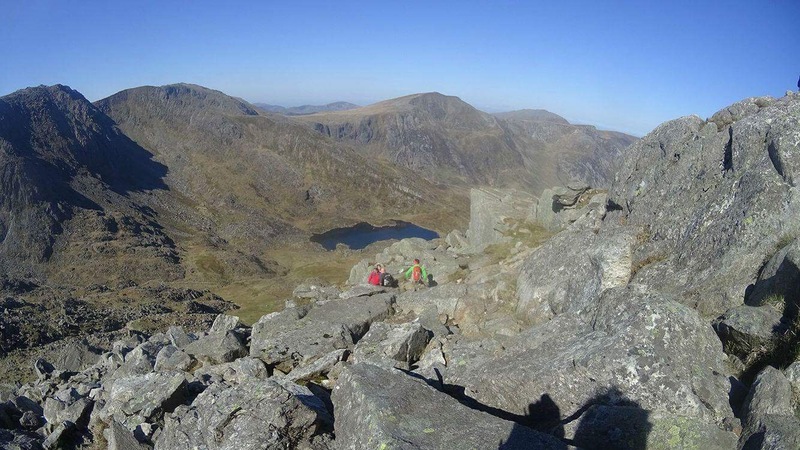 As a test I planned and executed our last adult only group hike in Snowdonia using the app. It worked perfectly. I’ll never be without a paper map, but I’m pretty sure I’ll never be without ViewRanger now too. This will save me a fortune, every time I go to a new country, I come home with a bunch of new maps! Oldhouseintheshires recently posted…My Glorious Gardens Series: Chelsea Flower show 2017: The other gardens we loved. It’s uses GPS rather than phone signal so you’ll be ok there. Definitely take a power pack with you though. Thanks for dropping by. He’ll love it I’m sure. Thanks for stopping by. As a Munro bagger in Scotland I love that you can download the routes from our biggest walking website to the App, brilliant for routing in the fog when you can’t see a thing. It’s a great app as a back up, but after learning the hard way I always have an extra battery pack with me – it kills your battery so quick! It certainly does. I’m like you I love the community aspect and as you say it makes a great back up particularly in poor visibility. Thanks for stopping by. Cool app isn’t it. I really like the community aspect of it too. Thanks for dropping by. It’s such a cool app. Thanks for dropping by. Yeah I’m still a paper map man but I’ll definitely be using this a lot too now. Thanks for joining us and stopping by. Yeah the skyline is very cool. Thanks for dropping by. Going to look into it. Like you I’ve been resisting technology/apps because I love my paper maps. But that skyline feature looks brilliant. Yeah Skyline is pretty cool to be fair. I hope you’re having a good bank holiday weekend. Oh I totally agree. I’m still a map and compass guy but I’m definitely a fan of ViewRanger now. My old iPhone 4 certainly doesn’t support Viewranger, but I’ll get my husband to download it on his. It looks amazing!